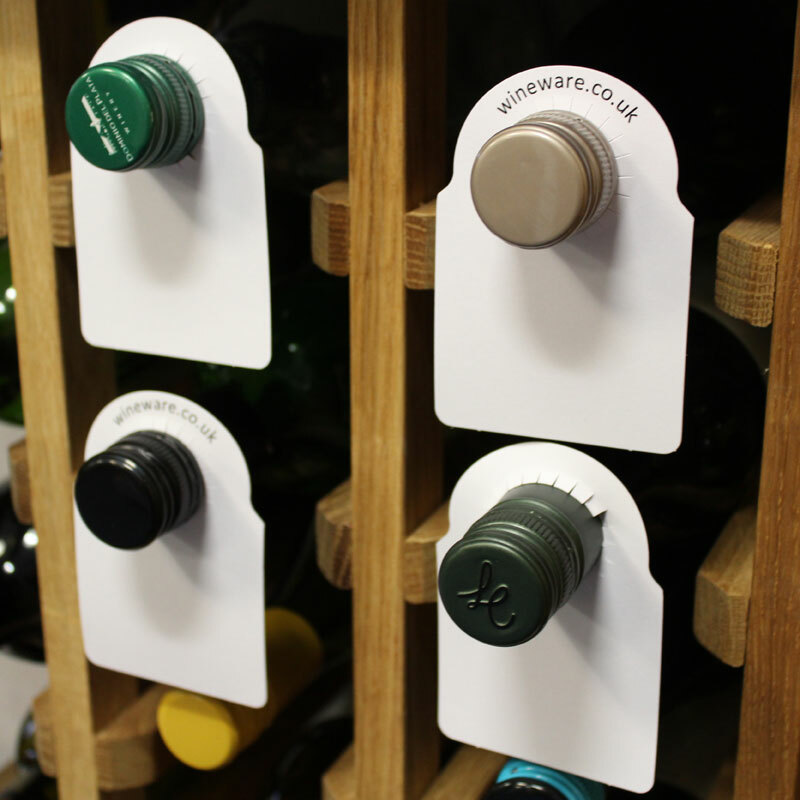 Wineware's card wine bottle neck tags allow you to easily and quickly identify your wines stored in a wine rack (horizontally) without disturbing the sediment. 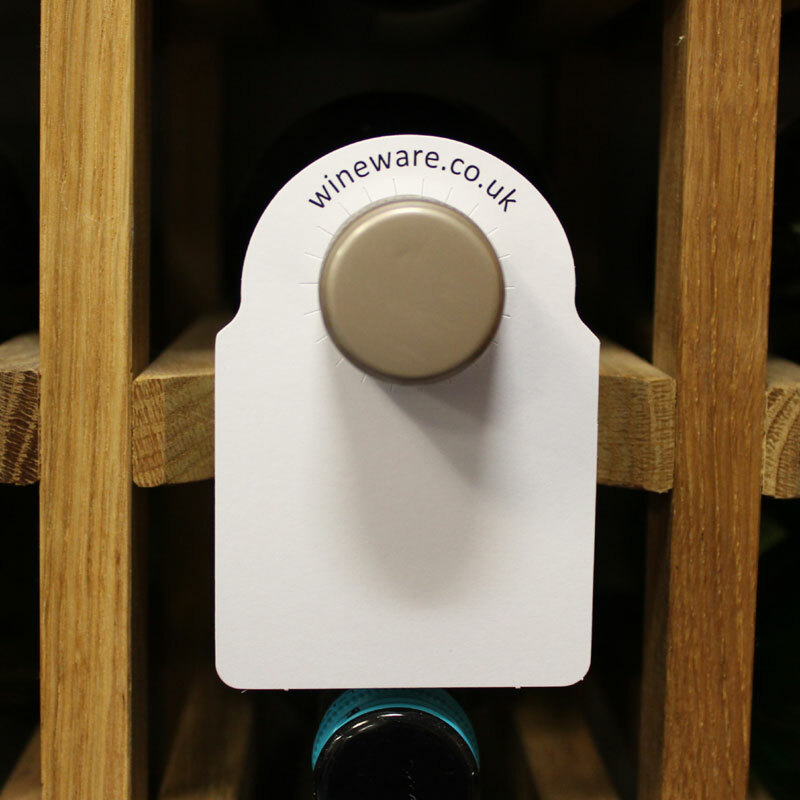 The card neck tags are particularly good for dry cellars and storage areas, the new design means that they are reversible; they have Wineware printed on one side and are totally blank on the other. 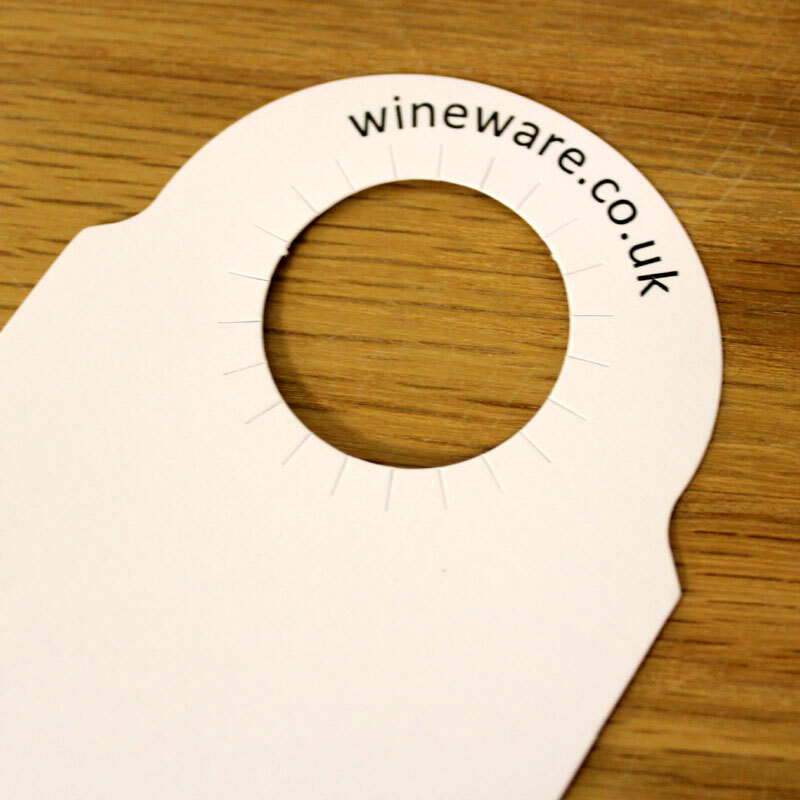 The inner circle of these bottle tags is cut with a fringe, making the tag fit snugly over many different types of bottle necks. 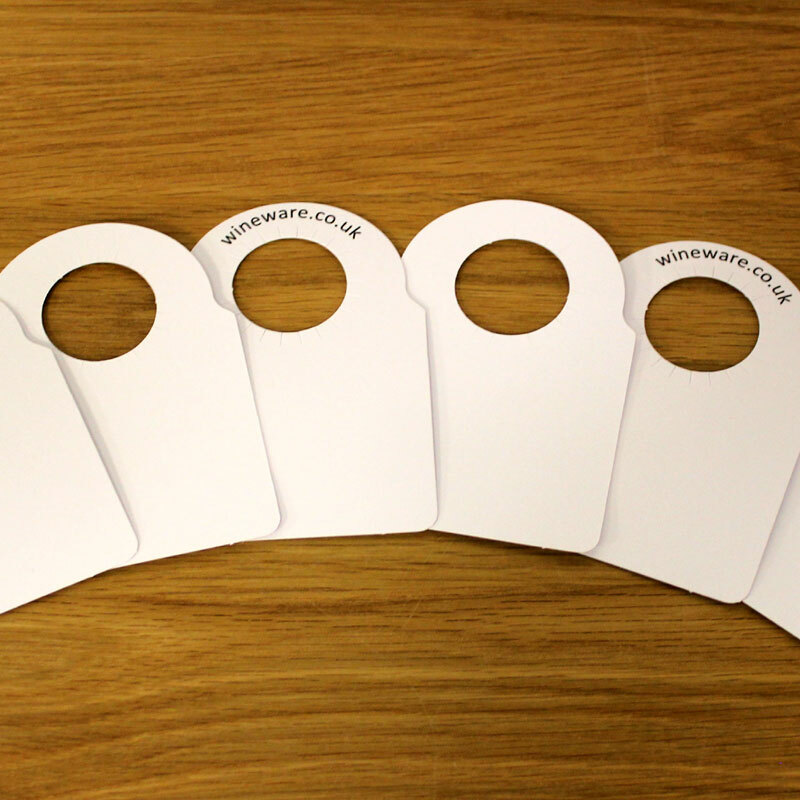 Also available in a Pack of 100.